Tuesdays 1 p.m. - 4 p.m. Learn to design, cut stencils, use sun-sensitive film, and create a silkscreen print on small as well as large paper, as well as tee shirt design. 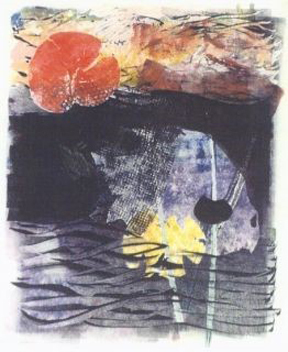 Create a monoprint using natural forms, stencils, and drawings on acrylic sheet.